The shooting injured seven people. 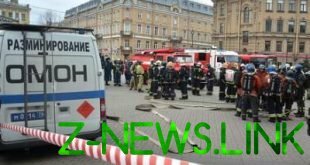 Seven pupils of school № 15 of the city of Shadrinsk of the Kurgan region has suffered as a result of shooting from a pneumatic gun. This was announced Wednesday in a press-service GU MVD of Russia in the region. “This morning at one of the schools of Shadrinsk during the break the young girl of 13 years from a pneumatic gun that belongs to her father fired several shots. The incident bruises, previously received seven students from the 7th grade. Currently, the school operates investigative team, which establishes the causes of the incident. The educational institution works in a regular mode”, – said the Agency interlocutor. According to her, the doctors went to the scene of the incident and visited the injured students at the school, hospitalization of most of them is not required. “According to preliminary data, one of the children took the ambulance with a diagnosis to explain I can not”, – said the representative of the Ministry of interior. In the office of the Commissioner for children’s rights in the Kurgan region reported that the children’s Ombudsman went to the scene to ascertain the details of what happened.